The Burg 31 is quite possible the oddest sounding smartwatch yet. GPS security features for kids - check. Alarm raising for senior citizens - check. Standalone call functions - check. Built-in media player - check. If that's the feature mix you're after, then you're in luck because the Burg 31 is on sale now for $129. 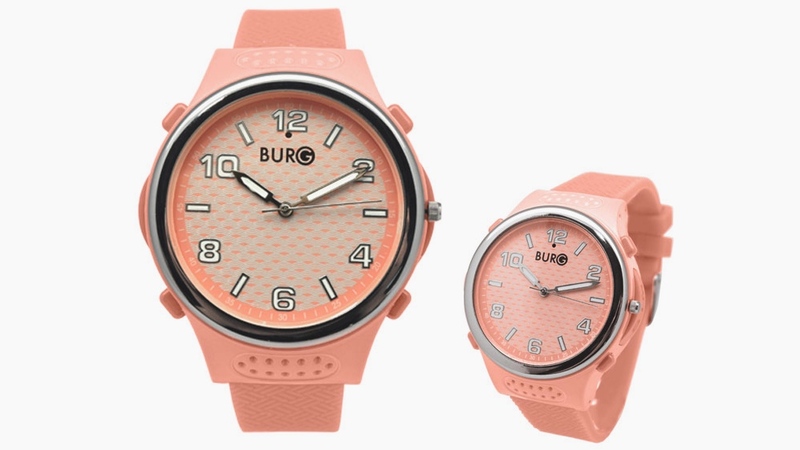 Looking like a regular tween-friendly analogue watch, the Burg 31 packs its own Micro SIM slot, room for a microSD card, GPS, Bluetooth and 2G/GPRS connectivity. The GPS means geo-fencing and tracking features for worried parents, as well as a 'find my watch' function; and the cellular function means, not only an emergency alarm option, but standalone phone features as well. Yep, that'd right - you can use the Burg 31 to make and receive calls. The most bizarre inclusion is the audio player. There's 128MB of onboard storage, which you can beef up with a microSD card, and you can then play your tunes through the watch's little speaker. Because that's what the wearable world is missing. $129 is pretty cheap for that spec-sheet however, so it might be worth a punt - if just for novelty value. You can order one now, with a choice of eight colours.